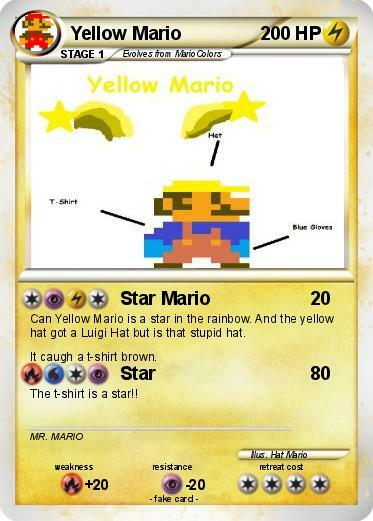 Can Yellow Mario is a star in the rainbow. And the yellow hat got a Luigi Hat but is that stupid hat. It caugh a t-shirt brown. The t-shirt is a star! !